Louis Hayes spent his youth creating the pulse of hard-bop, as a top-shelf drummer with artists like Cannonball Adderley and Horace Silver. He turned 80 this year, marking the occasion with his own Blue Note Records debut as a leader, Serenade for Horace. As the title implies, it's a tribute to his old mentor and bandleader – but it's also a testament to the beat that endures in Hayes' playing. 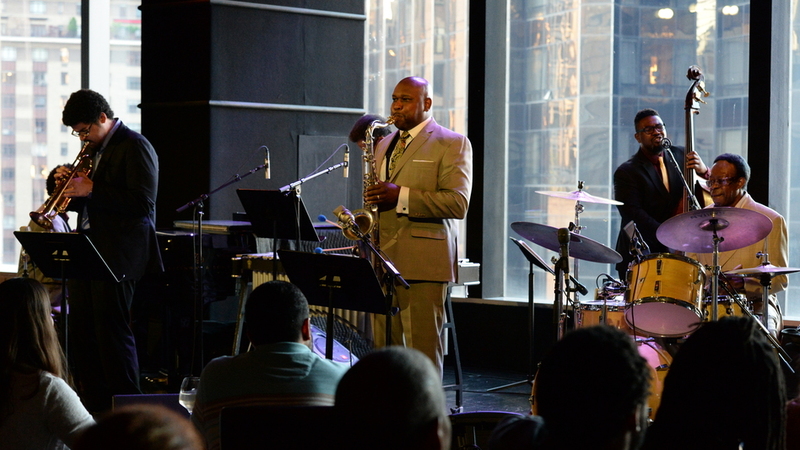 This episode of Jazz Night in America will take you into a packed room at Dizzy's Club Coca-Cola, where Hayes celebrated his birthday and the album's release, leading a band with fiery younger talent like trumpeter Josh Evans and saxophonist Abraham Burton. We'll hear host Christian McBride talking with Hayes about some favorite sessions and fond memories. And we'll hear testimonials from Don Was, Blue Note's president (and, like Hayes, a Detroit native) and Maxine Gordon, Hayes' road manager (and the widow of Dexter Gordon, another of his illustrious associates). October 27, 2017. Posted by Simon Rentner. On this episode of Jazz Night in America, we'll go to Clarksdale, Miss., to get a temperature reading at ground level, where struggling musicians are finally beginning to reap the benefits of a recent wave of blues tourism. We'll speak to some of the key players responsible for this, including Roger Stolle, founder of The Juke Joint Blues Festival; Bill Luckett, Clarksdale's mayor, and the co-owner (with actor Morgan Freeman) of the Ground Zero Blues Club in Clarksdale; and, of course some of the incredible talent keeping the blues alive, like Terry "Harmonica" Bean, Anthony "Big A" Sherrod, and 18-year-old blues prodigy Christone "Kingfish" Ingram. 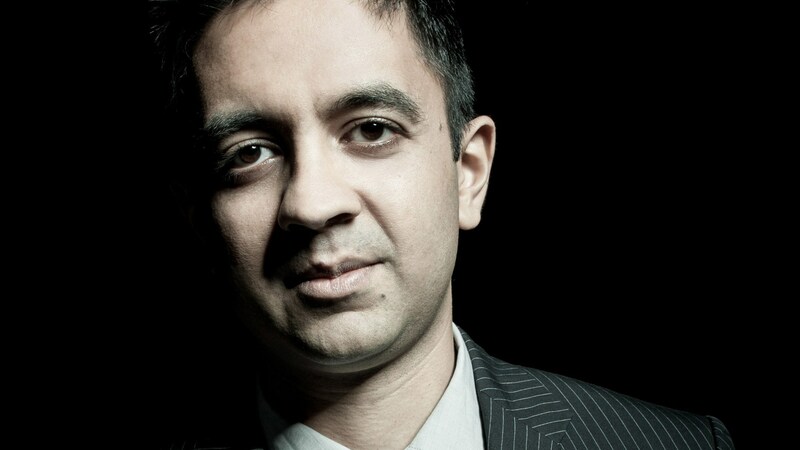 In this century, few artists in or around jazz have been closer to the whirling center of the action than Vijay Iyer. A pianist, composer, bandleader and educator — with accolades to show for each of those — Iyer is also an inspired consolidator, someone who brings divergent strands of theory and practice into dialogue. He does it all the time, but he really brought the idea into focus this past June, over four busy days in Southern California's ruggedly beautiful Ojai Valley. This was in Iyer's capacity as music director of the Ojai Music Festival, whose distinguished history stretches back more than 70 years. Ojai, as everyone calls it, has a reputation for boundary-pushing classical music: the provenance of Aaron Copland, Pierre Boulez and Igor Stravinsky, each of whom served multiple terms as music director. Iyer wasn't interested in "jazzing up Ojai," whatever that might mean. ("Jazz," as a prescriptive label, generally holds no more water for him than "classical" — or any other term of genre, for that matter.) What he was seeking, instead, was a colloquy between artists firmly rooted in orchestral or chamber traditions and others, like him, who combine that language with more spontaneous protocols. His festival program felt righteous, boundless, often supercharged. Repertoire by Bach and Stravinsky shared airspace with new chamber works by flutist Nicole Mitchell. Iyer performed a riveting duo set with one of his mentors, trumpeter Wadada Leo Smith. The trio, comprising three additional mentors — pianist Muhal Richard Abrams, saxophonist Roscoe Mitchell and trombonist/electronic artist George Lewis, all elder statesmen in the Association for the Advancement of Creative Musicians — performed an hourlong concert free of any premeditated impulse, let alone a written score. During a rare pocket of daylight in his festival schedule, Iyer said he'd been inspired to include "all these people that I respect and admire and have learned from... people who are generous and listen to the world — you hear that reflected in the work they do." Another irrepressible creative force, Jen Shyu, presented Solo Rites: Seven Breaths, a transfixing performance piece featuring her pliable voice, a series of choreographic movements, and a small array of folk instruments. And I'll not soon forget the pressurized quiet that followed the final moments of Yet Unheard, a searing orchestral piece by Courtney Bryan that you might characterize — imprecisely, but with reason — as a Black Lives Matter oratorio. Iyer presented a great deal of his own music at Ojai, too — including the world premiere of Trouble, a violin concerto composed for Jennifer Koh. It shared a concert program with Emergence, a suite for orchestra and improvising trio (Iyer, Sorey and bassist Stephan Crump). Iyer also performed brilliantly with the Brentano Quartet and, as a climax and valedictory capstone, with his own combustible sextet. Jazz Night in America caught almost every head-spinning set at Ojai, submitting to the flow and logic of the music on its own terms. In this episode of our radio show, we'll take you there. Along with Iyer's sextet — giving the first public preview of its justly acclaimed new album, Far From Over — this episode spotlights Trouble, taking a look at the challenges and questions that went into its creation. Iyer and Koh share their abundant insights, as do Lewis and violinist Mark Steinberg, of the Brentano Quartet. And flutist Claire Chase, founder of the International Contemporary Ensemble (and yet another MacArthur "genius"), helps us understand why the energies of a festival like this present a necessary corrective to the classical orthodoxy. They're a shot in the arm for the jazz establishment, too. The music, in its articulate urgency, holds all the evidence we need. Jazz singing has always been a tree with firm roots, but a wild entanglement of branches. Its sound and shape are mutable, prone to outside influence and local inflection. Take the two artists featured in this week's episode of Jazz Night in America, recorded at the 2017 San Jose Jazz Summer Fest — each a cultural ambassador as well as a cosmopolitan, with the elusive ability to bring any audience along for the ride. For many jazz fans, Cyrille Aimée is the more familiar of the two. Born in France to French-Dominican parentage, she made her name as a specialist in "gypsy swing," the style epitomized in the '30s by guitarist Django Reinhardt. Her band features two virtuoso guitarists, Michael Valeanu and Adrien Moignard, and she favors the lissome bounce prized by the hot-jazz revivalist crowd. But Aimée looks well beyond Django for her repertoire: In the episode, you'll hear her delighting the San Jose audience with a medley of Michael Jackson's hits. You'll also hear Daymé Arocena, a powerhouse vocalist from Cuba, and one of the standout new voices of the last several years in any genre. (If you've seen Arocena's gripping Tiny Desk Concert from last year, you won't need much more convincing.) Drawing mainly from her fine recent album Cubafonía, she brought Afro-Cuban fire to the San Jose stage — performing not only traditionalist fare like "Eleggua" but also playful hybrids like "Mambo Na' Mà," which blends Cuban clave with New Orleans parade rhythm. There are plenty of clear differences between Arocena and Aimée, whose vocal styles can, respectively, make you think of molten earth or a summer breeze. But each artist is exploring jazz from a personal vantage, at an extremely high level of achievement. Both went over well in San Jose, and the smart money says they'll do the same in this episode of Jazz Night.